· What is LAN Employee Monitor? · What can LAN Employee Monitor do for you? · How do I order the produce online? · What payment methods are accepted? · How long is the lead-time? · How to get the updated versions after I purchase the program? · How to get the related technical support? · Why should I register? · How do I get my registration code? · Why do you need my machine code? · What is my machine code? Where can I find it? · How to uninstall the trial version for the server portion and agent portion of the program? · How to get a full version of LAN Employee Monitor? · Why doesn’t my registration code work? · 1. Will it affect the computer speed when it runs? · 2. May the agent of LAN Employee Monitor be detectable by the computer users? · 3. Can the server portion of the software be uninstalled and reinstalled on the different machine after installation? · 4. Can the agent portion of the software be monitor by different server at the same time? · 5. How to come true forbiddance function for the agent machine? · 6. Why I can’t monitor employee computer screens? · 7. Can it monitor the employee’s computer while I am away from the office? · 8. Can I change the computers for the server and agents? · 9. How to stop monitoring? Q: What is LAN Employee Monitor? A:LAN Employee Monitor is an employee computer monitoring program. This program supports a number of spy features: multiple screens monitoring real time, remote employee activity monitoring and remote control, remote file management and forbidding USB device, etc. 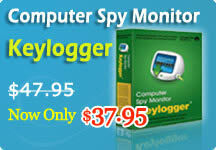 Stealth monitoring mode and easy to use interface are popular with plenty of users as well. Q: What can LAN Employee Monitor do for you? A: This employee surveillance tool will help you monitor remotely all employees’ computer activities by matrix screen real time. Employee internet usages, instant message, email and file manage, all of there will be control thought your monitoring screen. It is a guarantee to company internet security as well as information security. Q: How do I order the produce online? 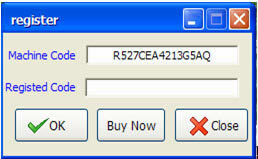 A: Click the buy button directly on our website: www.mysuperspy.com/purchase.htm . Then it will bring you to the RegNow registration service. Fill in simple information to order. A: Any major credit card, bank/wire transfer, PayPal, check or cash are accepted. A: After ordering the produce, you will receive information electronically immediately. And we will send the registration information to you within 24 hours. Q: How to get the updated versions after I purchase the program? A: When the newest version releases, you can download from our website directly to upgrade. It is free! Q: How to get the related technical support? A: If you get into trouble in installation, running or other problems, you can find the answers from FAQ of this produce according to your situation, or contact us directly with Email:support@lan-monitoring.com or support@mysuperspy.com. Q: Why should I register? A:LAN Employee Monitor is a demo program. You can download the trial version to test before you buy it, but the trial version have two functions limited –first, it can only monitor and remote control one computer, then the trial version will send message automatically to the agents every three minutes. So if you are satisfied this program after try, please register. A: If you offered your machine code when filled the order information, you will receive your registration code within one weekday. If not, we will ask for your machine code via email and then send back the registration as soon as possible. Q: Why do you need my machine code? A: The registration code is a calculation analyses based on machine code. This is to say your registration code is sole according to your PC. It is need only for the server. A: Your machine code arises from the HD or NIC information of your PC automatically. It can be found when you click the button of “Register now” on the monitoring screen after you installed the server of LAN Employee Monitor. You must offer correct machine code which arises from the server machine; otherwise, it will affect your registration. Q: How to uninstall the trial version for the server portion and agent portion of the program? A: For the server portion: before uninstalling, you should stop monitoring first that you can exit through “Exit” button of the monitoring screen’s menu, then delete the LAN Employee Monitor through the “Add / Remove Programs” of the control panel from the “Start” menu. For the agent portion: Select “Uninstall” button to uninstall the program directly after pressing “Alt+L” and entering the password to active the agent window. Q: How to get a full version of LAN Employee Monitor? A: After you order the program, you will receive information electronically immediately which includes the download address of full version of this employee monitoring. Q: Why doesn’t my registration code work? A: All registration codes we send do work. Please make sure that you enter every letter as you see it in the email with the registration code. And keep in mind that the registration code is case-sensitive and make sure that there are no spaces at the beginning or end of the registration. We suggest you select the registration code text in the e-mail window, copy to the clipboard and then paste to the program registration code box. Note: Please ensure you register a full version of the program; the trial version can’t be activated by any registration code. Q: Will it affect the computer speed when it runs? A: This is a very smart remote monitoring tool and its file size is very small. When it runs on the background, it only takes up little space of your computer. So this LAN monitoring scarcely affects your computer running. Q: May the agent portion of LAN Employee Monitor be detectable by the computer users? A: The agent portion of the monitor runs invisibly and stealthy, and there is no icons in the taskbar; so in normal circumstances, the computer users can not detect this program. Furthermore, even if it is detectable, it still can’t be changed or uninstalled due to the password protection. Q: Can the server portion of the software be uninstalled and reinstalled on the different machine after installation? A: After your first install the server of the software, your registration code can only work on this sole computer; because the different machines will generate different registration codes. If you have to change the server machine, we can offer the registration code trice at most. Q: Can the agent portion of the software be monitor by different server at the same time? A: The server machine can monitor multiple agent machines at the same time, but the agent of the program can be monitor and control by only one server machine. If you want to change the agent, you can modify the agent list data of the server windows. Q: How to come true some forbiddance function for the agent machine? A: In the client parameter configuration, you can select and set some forbidden function, such as forbid IE download, forbid USB, forbid MSN/Windows Live, and some internet activity or other application process. Q: Why I can’t monitor employee computer screens? A: This circumstance will occur when the employee computer didn't connect with the server computer and the cause of which is that the agent port setting is wrong. The solution is to reset the agent port value to avoid repeating other agent ports. Q: Can it monitor the employee’s computer while I am away from the office? A: This monitor can capture the employee computer screenshots and save them in local disk. So you can view the screenshots to check your employee computer activities after you come back to your office. Q: Can I change the computers for the server and agents? A: You can change the agent computer at random; but if you want to change the server computer, you should use a new registration code for the new computer. Q: How to stop monitoring? A: For stopping the server monitoring, you can select the “Exit” button of the monitoring screen’s menu; if you want to stop some agent monitoring only some time, you need only modify the client parameter of agent list. A: First, you should ensure that you download the updated version of the program. LAN Employee Monitor is tested and certified completely safe and clean of adware/spyware components by many industry-leading security solutions. But sometimes it can be mistake by some security protectors or anti-virus programs. So if your anti-virus program or security protector find it and give you warn or lock it up, you can reset and ask for not remove. If you can’t resolve the problem as this, you can contact us via email!